He may look creepy, but he's actually said to be a "fatherly" figure. Practitioners of Haitian Vodou believe in a Supreme Creator, Bondye, which translates in French into “Good God.” However, the Supreme Creator does not intercede in human affairs. For that, there are loas, subservient spirits that act as intermediaries between Bondye and the human world. Perhaps the most important loa in Vodou tradition is Papa Legba. He is the gatekeeper between the human and spirit worlds, and no one can reach the spirits without Papa Legba acting as the intermediary. There is often intermingling between Roman Catholicism and Vodou, and as a result, Catholic traditions are often associated with Vodou beliefs. Bondye, the Supreme Create, is seen as God, and the loa are similar to saints. In this case, Papa Legba is most often considered a contemporary of St. Peter, who is the gatekeeper to Heaven. In other instances, he is associated with St. Lazarus, the lame beggar, or St. Anthony, the patron saint of lost things. Papa Legba is most commonly depicted as a poor old man, wearing a straw hat, dressed in rags, and smoking a pipe. He is usually accompanied by dogs. He needs to lean on a crutch or a can to walk. However, though he may at first glance appear old and weak, he is actually one of the most powerful gods in the Vodou tradition. He walks with a limp because he walks in two worlds at once, the world of the living and the world of the spirits. The cane that he leans on in not an ordinary cane – it is actually the gateway between the human world and the heavens. Papa Legba is the great communicator. He speaks all of the languages of the world and of the gods. He alone opens the door to lets all the other spirits into the human world, so no communication with spirits can happen without first saluting him. Therefore, all ceremonies must first begin with an offering to Papa Legba, so he will open the door and let the other spirits into the world. Although he commands respect, he is a benevolent, fatherly-type figure, and it does not take much to appease him. He is not a very demanding spirit, but is thought to be a trickster, and is fond of riddles. Papa Legba is a great communicator but also likes to deal with uncertainty and confusion. Sometimes, messages are distorted or misunderstood, because Legba stands at the crossroads between certainty and uncertainty. 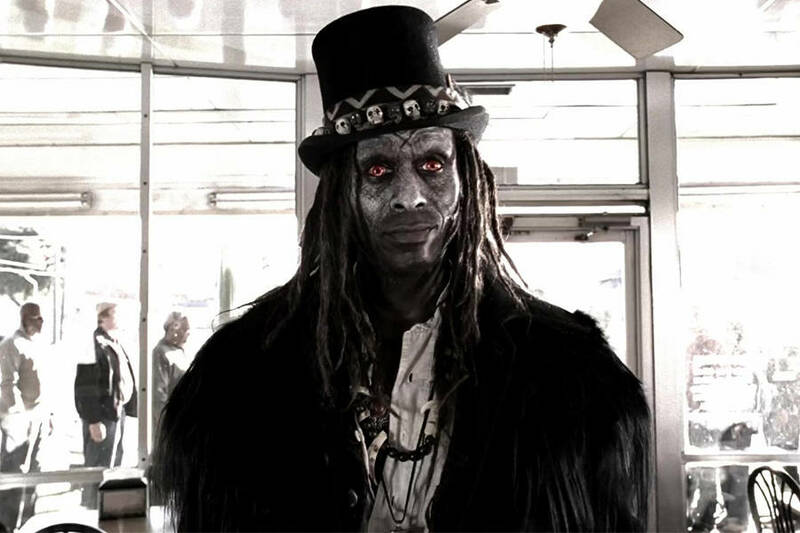 All loa can show a negative side if they are not treated with respect, so it is important to remember to show respect and reverence for Papa Legba, so that he will remain benevolent and keep the gates of the spirit world open. 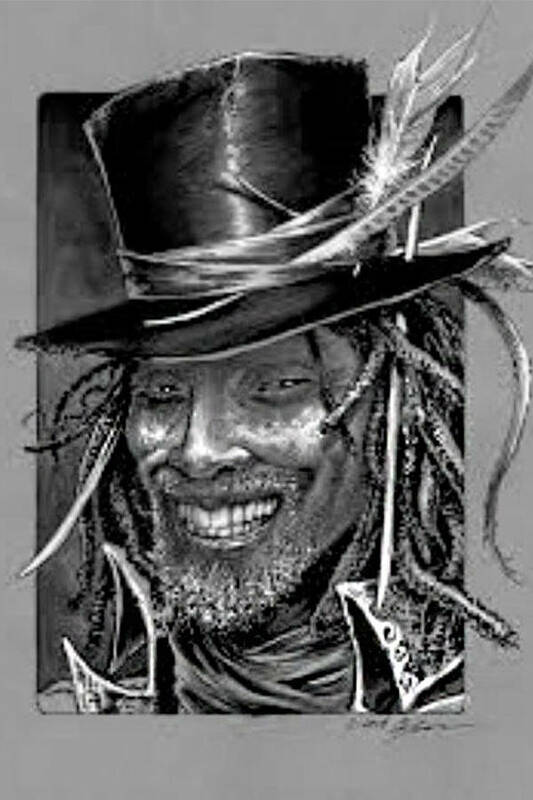 Papa Legba can be honored by offering him a drink, like coffee or cane syrup, or simply acknowledging him and asking that he open the door to the spirit world before a ceremony. There are some varying beliefs regarding the specifics of honoring Papa Legba, but the colors most often associated with him are black and red, white and red, or yellow. There is also some disagreement on what day is the right day to pay him homage. Some say it is Monday, while others believe it is Tuesday or Wednesday. This often differs from household to household, depending on what Papa Legba has told to the members of the household honoring him. Legba stands at the crossroads. There is no denying he has one of the most important roles in the Vodou tradition. He is the intermediary, the messenger, and without him, the door to the spirit world would remain closed to every person trying to communicate with the heavens.